First Time Visiting our Canton / Holly Springs Church? No problem. Here’s what to expect: Coming in from Holly Springs Parkway, you take the “long drive” into the P. Rickman Industrial Park. Hold Tight. It’s not that far. We are about a half mile in on the right-hand side, just follow the signs. You will find a good parking space, and come on inside. Our greeters will be ready at the door. We really are fortunate to have a great group of naturally warm and friendly people to show you around. You will visit our welcome center and get some information about the church. If you have kids, we will help you find the kids check-in. No pressure here: we encourage you to do what is most comfortable for you. You can keep as many kids of all ages with you in main service as often and for as long as you like. If you would prefer to check them into Life Bible Kids, that ministry is ready to provide them with a sound and lively time with God and other kids their age as well. More on LBKids here. From there, we proceed to main service. 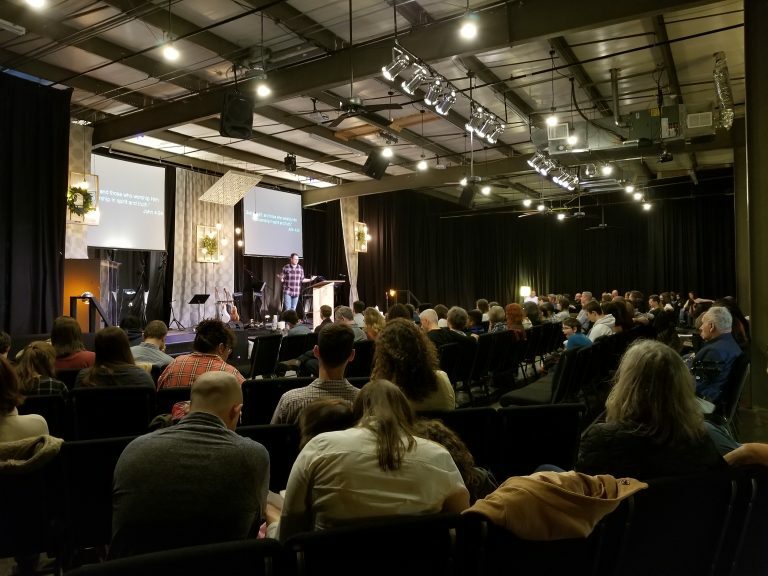 We have about 25 minutes of focused worship time together, followed by a 10-minute fellowship time, where we take our already-checked-in kids back to Kids ministry. We enjoy taking this time to catch up with one another, and maybe find a time to get some coffee this coming week. After this we, have our announcements, followed by about a 40-minute message that is, we hope and pray, powerful in turning our hearts toward Christ, equipping us to be the Church in the World in the coming week. We then close with a song or two, to tell Jesus how much he means to us. Then we pick up our kids, and we are on our way. Well, that’s it for Sunday, but there are other opportunities throughout the week to connect and to engage with God and each other. Living life together is really important to us here. All that it is to say, we look forward to meeting you this Sunday!